Much of the attention given to last December's Expansion Era ballot vote centered on the unanimous election of retired managers Tony LaRussa, Bobby Cox, and Joe Torre to the Baseball Hall of Fame. In addition to retired managers, former players who had been retired 21 or more seasons and made their biggest contributions to the sport after 1972 were eligible for the Expansion Era ballot. Although, with none of the six former players included on the Expansion Era ballot--Dave Concepcion, Steve Garvey, Tommy John, Ted Simmons, Dave Parker, and Dan Quisenberry--drawing more than 37.5% of the vote, one may assume that none of the players eligible for the ballot had a Hall of Fame caliber career. However, the Historical Overview Committee which devises the Expansion Era ballot overlooked the eligible candidate with the highest career Wins Above Replacement, former second baseman Bobby Grich. In fact, Grich's career WAR of 70.9 is noticeably higher than the respective 62.0 and 50.2 career totals of John and Simmons, the top ranking pitcher and hitter on the ballot based on WAR. 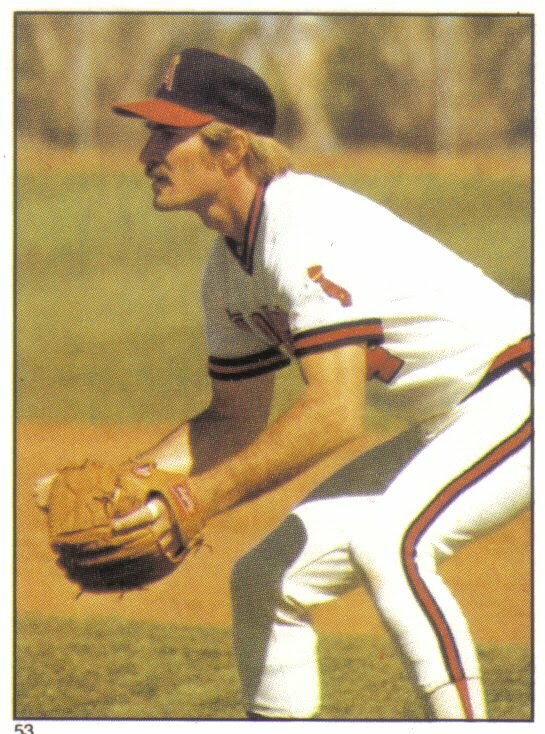 Grich's excellence was highlighted by two separate five-year peaks, one as a member of the Baltimore Orioles and one as a member of the California Angels. The first of those peaks came from 1972 to 1976, during which the combination of his superb fielding and strong hitting made him not only one of baseball's best second basemen but also one of the finest all-around players in the game. 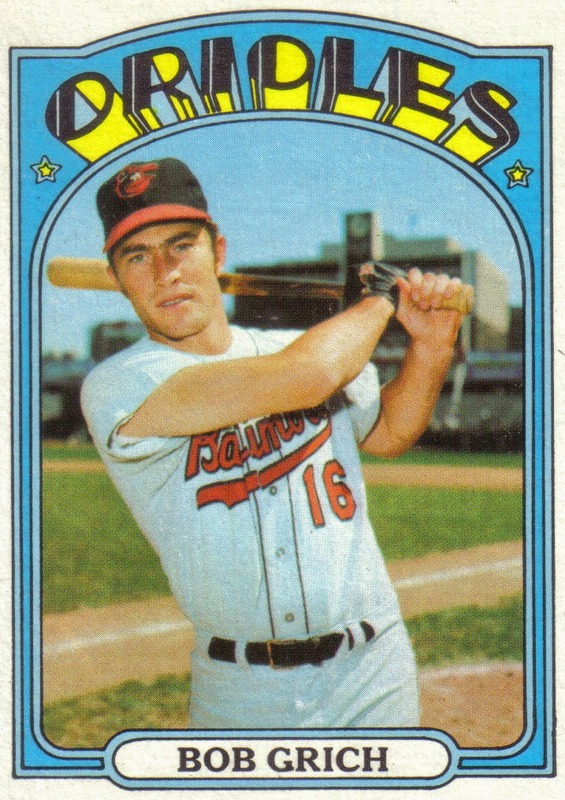 Grich was selected by the Baltimore Orioles with the nineteenth overall pick in the first round of the 1967 draft. Grich starred in the minors as both a second baseman and a shortstop. In June of 1970, Grich earned his first call-up to Baltimore after hitting .383 with 9 home runs in 63 games for the club's Triple-A affiliate, Rochester. However, Baltimore already had two Gold Glove Award winners--Dave Johnson at second and Mark Belanger at short--manning their middle infield. Due to this, Baltimore sent Grich back down to Rochester for the start of the 1971 season. Grich hit .336 and drilled 32 home runs for Rochester, won the International League MVP Award, and was recalled by Baltimore in September. Grich finally made it up to Baltimore to stay in 1972, though not as the team's regular second baseman or shortstop but rather as a super-utility player. During the 1972 season, Grich appeared in 81 games at short, 45 at second, 16 at first, and 8 at third. On several occasions Grich started a game at one position and finished it at another. The unpredictability of his position on the diamond did not affect Grich who put up 10 fielding runs on defense. Baltimore manager Earl Weaver had always put a premium on defense and pitching but, by 1972, the team had started to struggle to put runs on the board. The emergence of Grich gave the Orioles a player with a top-notch glove who could also contribute with the bat. In his first full season, Grich led his Baltimore teammates with 66 runs scored, a .278 batting average, and .358 OBP. In addition, Grich's 12 home runs and 127 OPS+ trailed only power-hitting first baseman Boog Powell for the team lead. Grich's hitting statistics are even more impressive when you consider that he played his home games at Memorial Stadium, a notoriously difficult ballpark for a hitter. Moreover, the 1970's were a pitcher-friendly era during which scoring was down until the latter part of the decade. Grich's solid offensive and defensive efforts were worth an accumulated 6.0 WAR--good enough for fifth best among AL position players. Grich's nomadic campaign marked the first season of an excellent five-year stretch, from 1972 to 1976, where he never fell below 6.0 in WAR and ranked sixth or higher among AL position players in the metric each season. Despite Grich's fine season, Baltimore--coming off of three straight AL Pennants--struggled to a third place finish with an 80-74 record, though they were in the tight AL East Division race up until late September. 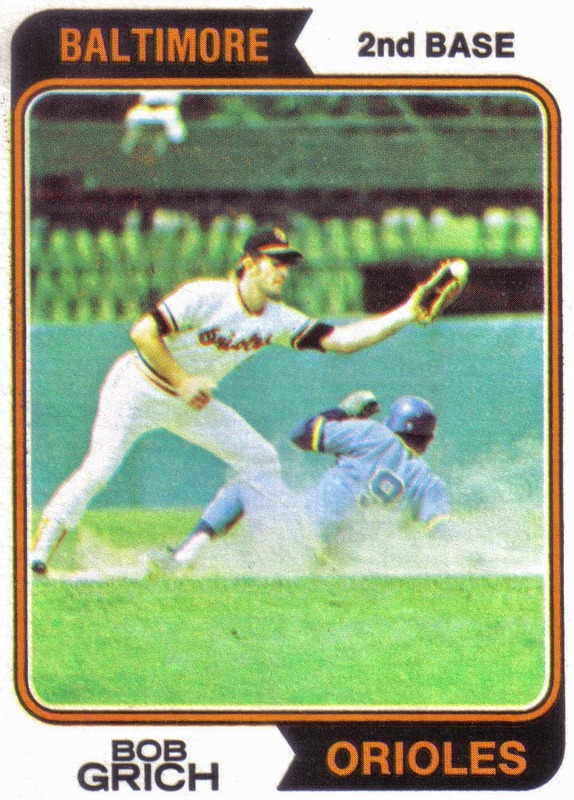 Following the 1972 season, Baltimore traded away Dave Johnson, making room for Grich to move to second base full-time. Grich responded by having arguably the greatest fielding season ever for a second baseman. Grich started all 162 games at the keystone and led all AL second sackers in games played, putouts, assists, double plays turned, fielding percentage, total zone runs, and range factor. 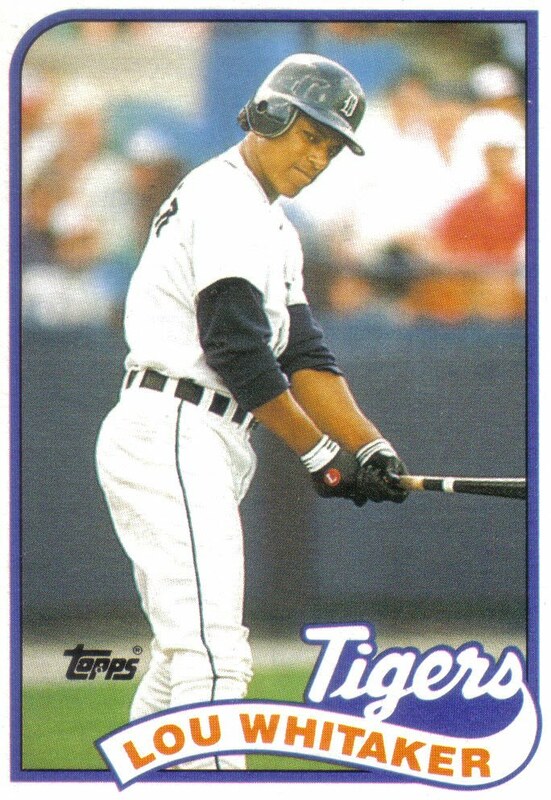 Not only did Grich lead the AL in every major fielding category, but with just five errors in 945 chances, his superb .995 fielding percentage set a major league record for second basemen. In addition, the 29 total zone runs Grich accrued are the second highest single season total ever for any keystoner. Grich's fielding excellence was recognized with his first of four consecutive Gold Glove Awards. Flanked to his right by defensive wizards Belanger at short and Brooks Robinson at third, Grich was part of one of the finest fielding infields in baseball history. The trio became the first second base-shortstop-third base combination to each win the Gold Glove Award in the same season--a feat they would accomplish not only in 1973 but in 1974 and 1975, as well. 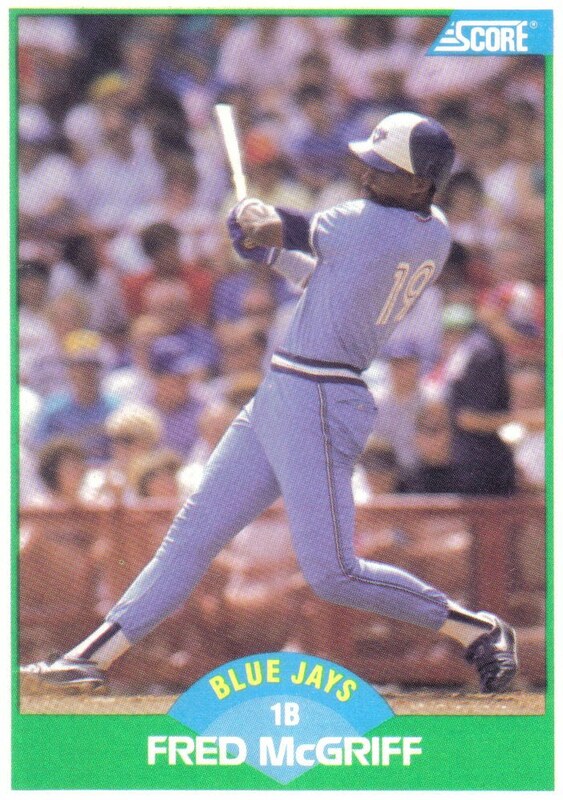 Grich's batting average dropped to .251 but on the strength of his 107 walks--second to only John Mayberry in the AL--his OBP jumped to .373, good for ninth best in the league. Grich, once again, was second on the team with 12 home runs but showed more pop in his bat, finishing the season sixth in the AL in both doubles and triples. The combination of Grich's record-breaking fielding, patience at the plate, and power with the bat resulted in an 8.3 WAR, the highest in the league among position players. Grich's dominant season helped the Orioles return to the postseason, finishing with a 97-65 record to win the AL East by an eight game margin. Baltimore faced the defending World Champion Oakland A's in the ALCS but fell one win shy of making the Fall Classic, losing in five games. Grich hit just .100 in the ALCS but took Oakland closer Rollie Fingers deep for a game-winning, walk-off home run in Game 4 to force the deciding fifth game. Despite his excellent season, Grich finished a distant 19th in the AL MVP vote. Most of the credit for Baltimore's Division-winning season was bestowed on pitcher Jim Palmer who won the Cy Young Award and finished runner-up to Oakland right fielder Reggie Jackson for the AL MVP. Grich may have been the AL leader in WAR among position players but that metric was still more than three decades from being created. At the time, most voters judged hitters by batting average, home runs, and RBIs and, undoubtedly, Grich's .251 batting average kept most voters from realizing his true impact on the team's success. Grich followed up his amazing 1973 campaign with another phenomenal season. For the second year in a row Grich led AL second basemen in games played, putouts, assists, double plays turned, and range factor. 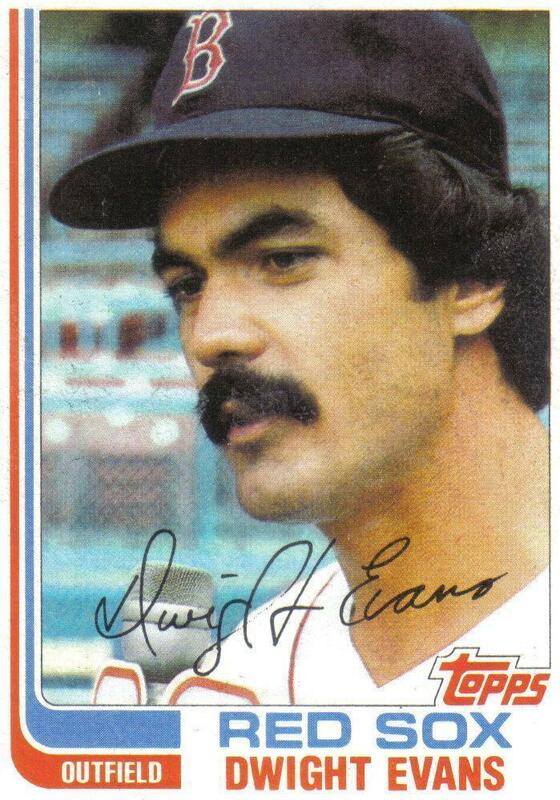 In the batter's box, Grich smacked 19 home runs, drove in 82 runs, and finished with a stellar 135 OPS+. In addition, his 92 runs scored left him just one run behind league leader Carl Yastrzemski, while his 7.3 WAR was only a fraction behind Rod Carew's 7.4 mark for the lead among AL position players. Baltimore won their second straight AL East title, finishing 91-71 and outlasting the New York Yankees and Boston Red Sox in a tight Division race. Yet again, the Orioles faced the A's in the ALCS, this time being eliminated in four games as Oakland advanced to the Fall Classic where they won their third straight World Championship. Grich hit .250 against Oakland in the ALCS. Grich was awarded his second straight Gold Glove but despite his increased home run and RBI totals, finished just 9th in MVP voting. Once again, Grich's batting average--this time .263--likely cost him votes. Grich was the top placing Baltimore player in the MVP vote, though it appears the Division-winning Orioles were viewed as an ensemble cast, with votes also split among 22-game winner Mike Cuellar and Gold Glove winners, Brooks Robinson and Paul Blair who finished just behind Grich at 10th, 12th, and 13th in voting, respectively. The winner of the AL MVP was Jeff Burroughs, right fielder for the Texas Rangers who finished a surprising second place in the AL West. Burroughs hit .301 with a league leading 118 RBIs but was a butcher on defense at a staggering -21 fielding runs below average. By contrast, Grich was 8 runs above average at the much more demanding position of second base. MVP voters obviously focused much more on Burroughs' impressive hitting than his defensive woes while discounting the strength of Grich's overall game which was worth 7.3 WAR--more than double the total of Burroughs' 3.6 mark. Over the next two years, Baltimore remained competitive, going 90-69 in 1975 and 88-74 in 1976, but came up short in the AL East Division race both years, finishing runner-up to the Boston Red Sox and New York Yankees, respectively. 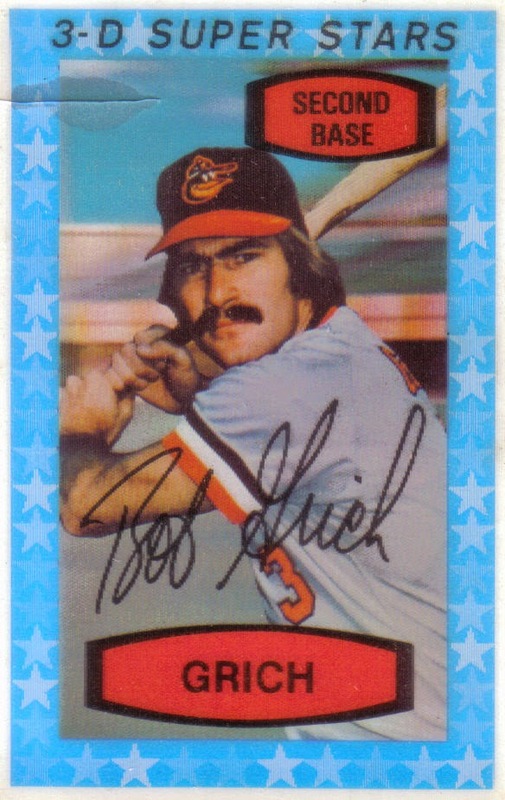 Grich continued to be an integral part of Baltimore's success with his excellent play, finishing third among AL position players with a 7.3 WAR in 1975 and sixth in 1976 with a 6.1 WAR. Grich won his third and fourth straight Gold Glove Awards in 1975 and 1976 but was particularly stout on defense in 1975, leading AL second basemen in putouts, assists, double plays turned, total zone runs, and range factor. Grich's batting average continued to hover in the .260's which kept him from earning his proper credit as a hitter but his respective OPS+ marks for 1975 and 1976 were an impressive 130 and 138, the latter of which was good for seventh highest in the AL. In addition, Grich finished both 1975 and 1976 ranked third in the AL in walks and ninth in OBP. At the end of the 1976 season, Grich, along with several other players became part of the first official free agent class. Baltimore was not interested in paying the large salary their Gold Glove Award-winning second baseman would command on the open market but several other teams were ready to open their checkbooks for Grich's services. Grich, who had lived most of his childhood in Long Beach, spurned more lucrative offers and signed a 5-year, $1.58 million contract to play for the California Angels, the team he rooted for growing up. Thus, Grich's time with the Orioles came to an end. During Grich's excellent five-year stretch, Baltimore was in contention for the AL East crown each season, winning the Division in 1973 and 1974, finishing runner-up in 1975 and 1976, and a close third in 1972. Both times they made the playoffs, the Orioles had the misfortune of facing the A's, who were in the midst of a three-year Championship run. Baltimore's 1973 and 1974 Division-winning teams featured several aging veterans from their 1970 World Championship squad but also a core of young players including Grich, Don Baylor, and Al Bumbry. With Grich at second, Mark Belanger at short, Brooks Robinson at third, and Paul Blair in center, Baltimore had, by fielding runs, four of the five strongest defensive players in the game over the 1972 to 1976, five-year period. Grich, Belanger, Robinson, and Blair each won four Gold Glove Awards over the five-year span. However, of the four, only Grich stood out at the plate, accumulating 111 batting runs while Belanger, Robinson, and Blair all posted negative batting runs over the five-year period. Not only was Grich able to give Baltimore unusually strong offense for a second basemen, but he also regularly lead the club in runs scored and OBP while placing among the top two or three on the team in home runs, RBIs, and OPS. In addition, Grich was the team leader among position players in WAR each season from 1972 to 1975 and ranked second in 1976. Grich, more than any other position player--up and coming or veteran--was key to keeping Baltimore a perennial contender in the AL East from 1972 to 1976. On the table below, Grich's five-year peak is compared to other second baseman in both advanced and traditional metrics. Grich's excellent 34.9 WAR during that time places him second to only Joe Morgan among keystoners and just ahead of Rod Carew, both first ballot Hall of Famers. Morgan was voted the 1975 and 1976 NL MVP while Carew won four straight batting titles from 1972 through 1975. Playing second base at the same time as a back-to-back MVP winner and perennial batting champ likely played a role in Grich being underrated. Morgan, Grich, and Carew towered over other second basemen during this time, each accumulating more than double the WAR of any keystoner over the five-year span. Morgan and Carew were both stronger hitters than Grich--as shown by their higher totals in batting runs and OPS+--but Grich's significant edge over all other keystoners underscores how much better his bat was than the average second baseman of the time. Grich set himself apart from his keystone peers with his superior fielding where his four consecutive Gold Gold Awards were well earned as evidenced by the comfortable gap he holds in fielding runs. Advanced metrics showcase just how great an all-around player Grich was, yet even by traditional metrics Grich is in the top two or three among second basemen in home runs, RBIs, runs scored, doubles, and walks. Not only was Grich among the most dominant second basemen during his 1972 to 1976 peak but looking at the table below, which compares him to all position players, you can see that he was among the finest players in all of baseball. In fact, by WAR, Grich's excellent 34.9 total trails only fellow second sacker Morgan and leads all other position players in baseball during that time. Carew ranks third in WAR, while Johnny Bench, Pete Rose, and Reggie Jackson--each winners of an MVP during that time--make up three of the next four spots. 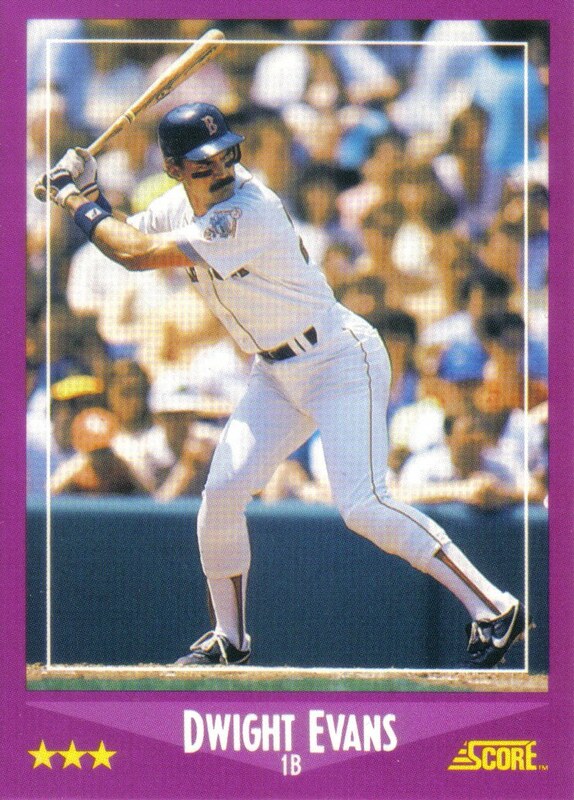 Unlike those players, Grich's excellence was never recognized by MVP voters. By playing his home games at a pitcher's park on a low scoring team that stressed defense over offense, Grich was unable to put up the batting average, home run, and RBI totals that would endear him to MVP voters. However, with exceptional plate patience and moderate power, Grich was able to amass 111.7 batting runs, good for fifteenth best in baseball over the five-year period. Grich ranked even higher defensively, collecting 66 fielding runs, the fourth most during that time. Grich had the unique and under-appreciated ability of being great on both sides of the diamond. In fact, aside from future Hall of Famer Bench, Grich was the only other player to accumulate 100 batting runs and 50 fielding runs over the five-year period. After leaving Baltimore as a free agent, Grich had another excellent five-year peak with the California Angels. 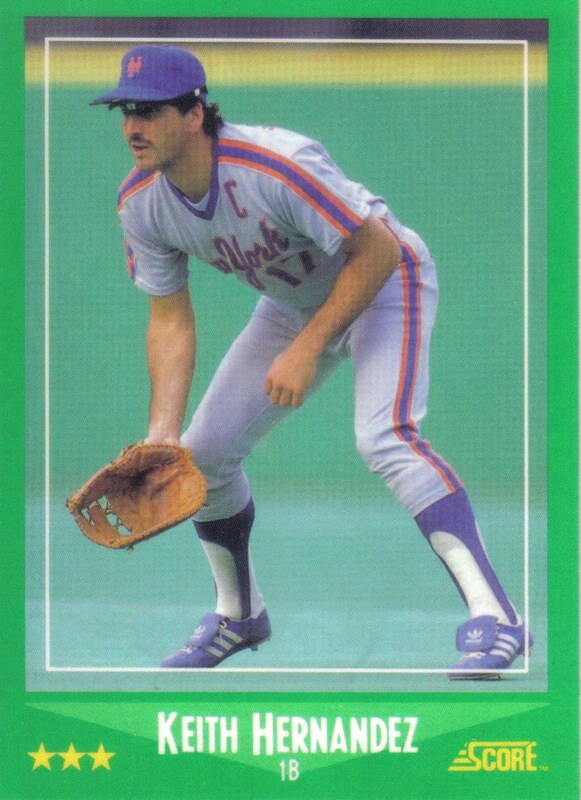 Grich wrapped up his outstanding career in 1986. Yet, when he became eligible for the BBWAA Hall of Fame ballot in 1992, he failed to receive 5% percent of the vote and was thus ineligible to be included on future BBWAA Hall of Fame ballots. Unfortunately, like the MVP voters of the 1970's, Hall of Fame voters had likely failed to look past Grich's batting average and RBI totals and appreciate his fantastic all-around game. Since falling off the BBWAA Hall of Fame ballot, Grich has been eligible for two Expansion Era Hall of Fame ballots. Though, each time the Historical Overview Committee which devises those ballots has passed over nominating him. If Grich were ever to find his way into the Hall of Fame, more than likely he would go in wearing an Angels cap rather than an Orioles cap since he spent more seasons playing for California. 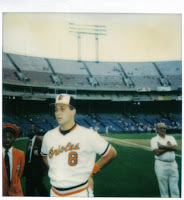 However, Grich's time in Baltimore was a great start to his overlooked Hall of Fame caliber career.